The Office of BGLTQ Student Life in the basement of Grays Hall. The group will be comprised of undergraduates who identify as BGLTQ, according to the application for students seeking to participate. HUHS and the Office of BGLTQ Student Life have tasked the group, which will meet three times over the next several weeks, with recommending initiatives to promote students’ mental health. The application closed on March 1, and the meetings are expected to begin before spring break. “The purpose of this working group is to gain a deeper understanding of the data and to develop data-driven interventions to improve the emotional wellbeing of BGLTQ students,” the application reads. Fourteen students — ranging from freshmen to seniors — responded to the Google Form application expressing their interest in participating in the group, according to Scarborough. HUHS Director Paul J. Barreira and other HUHS administrators decided to form the group after reviewing data from the biannual undergraduate health survey, which showed that BGLTQ students were more likely to face mental health issues, according to Chief of Counseling and Mental Health Services Barbara Lewis. “He [Barreira] had noticed that the BGLTQ community — it wasn’t surprising — was at higher risk. Maybe had needs that weren’t being met,” Lewis said. HUHS then passed on the data to the Office of BGLTQ Student Life, where Director Sheehan D. Scarborough ’07 joined forces with Lewis and Barreira to create a student group that would review the survey data and design an intervention, Lewis said. Scarborough said he believes gathering student input is crucial, referencing productive conversations he has had with Office of BGLTQ Student Life interns. Scarborough said that he is looking forward to collaborating with students directly in the working group. —Staff writer Isabel L. Isselbacher can be reached at isabel.isselbacher@thecrimson.com. —Staff writer Michelle Kurilla can be reached at michelle.kurilla@thecrimson.com. Follow her on Twitter @MichelleKurilla. 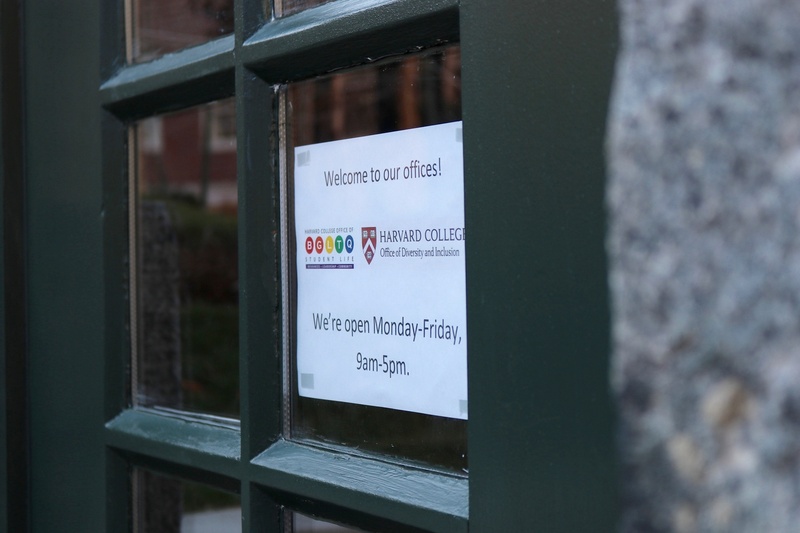 —Staff writer Tamar Sarig can be reached at tamar.sarig@thecrimson.com. Follow her on Twitter @tamar_sarig.